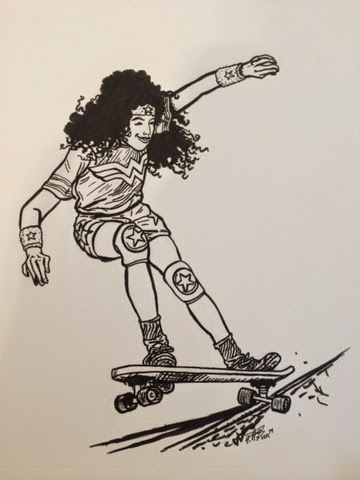 Wonder Woman enjoys skateboarding. Did you know that? This is just an example of the kind of cool stuff I'll draw for you when you commission an 8 x 10 ink drawing in the PABshop. Hello! Did you guys know that I've given the PABshop a makeover? I have! 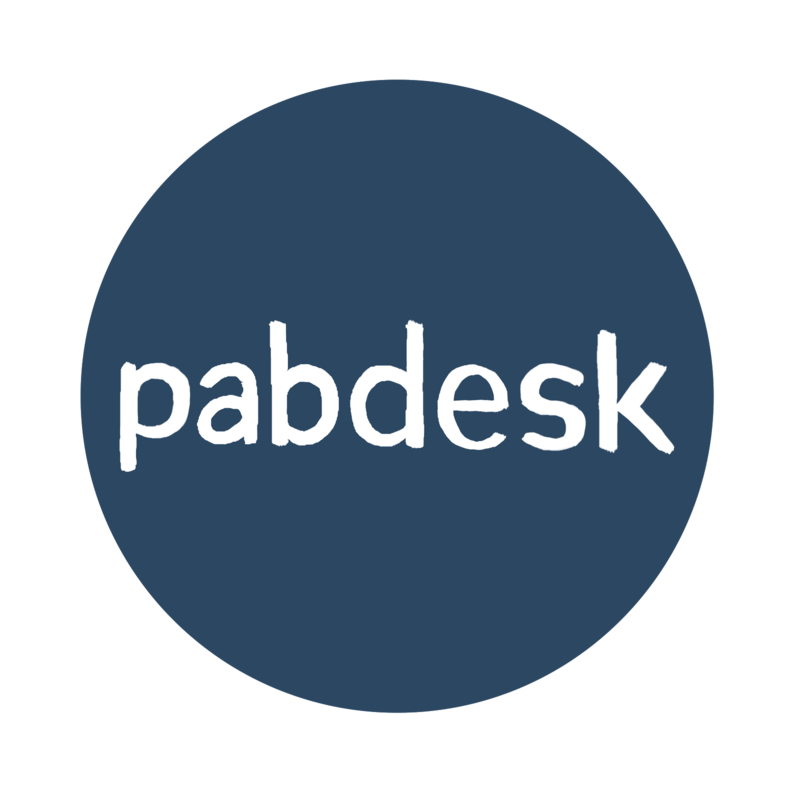 What's the PABshop you ask? 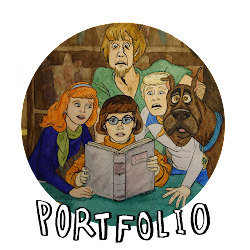 Why, it's only my awesome online store where you can get cool stuff I've made. I'm mostly talking commissioned art work that's been specially made for you! 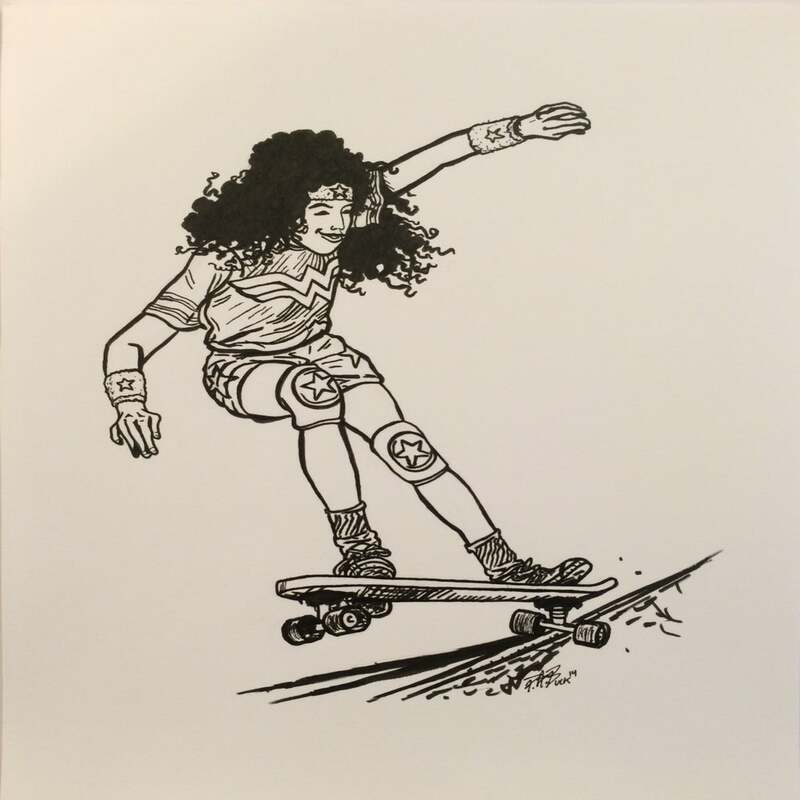 Just because I've given the shop a new look and a few tweaks to make it easier to use, don't worry- the 5 x 7 inch drawings and 8 x 10 inch drawings are still available! 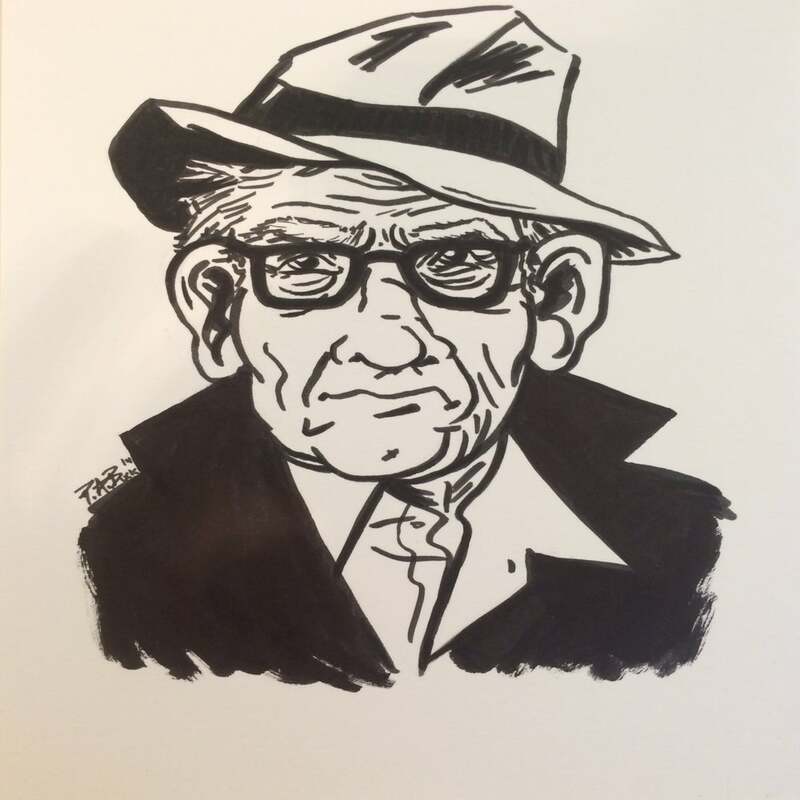 This cool detective is an example of the kind of stuff you can get from the PABshop when you buy a 5 x7 ink drawing. 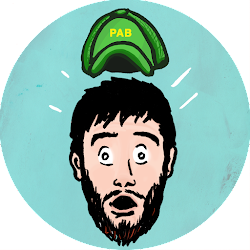 I hope you'll take a moment to check out all the neat stuff that I'm offering in the PABshop. I also hope you'll enjoy the short process video above from my new Instagram account. I'm looking forward to making something with you all! Thanks for checking in! God bless. Princess Leia Portrait in the PABshop!